Haiku’s GUI is in principle entirely scriptable. You can change a window’s position and size and manipulate pretty much every widget in it. The tool to do this is hey. It sends BMessages to an application, thus emulating what happens if the user clicks on a menu, checkbox, or other widgets. The seminal work on this application scripting is the BeOS Application Scripting chapter of the BeOS Bible by Chris Herborth. You should study that first and, if you’re like me, will keep coming back to it every time you think about solving something via hey. This blog isn’t an introduction to scripting with hey, but more like a collection of useful hey-lines. It’s intended to bring our GCI students up to speed, who have chosen the task to create hey-scripts to automate taking screenshots for the user guide. Please comment, if you have more tips! 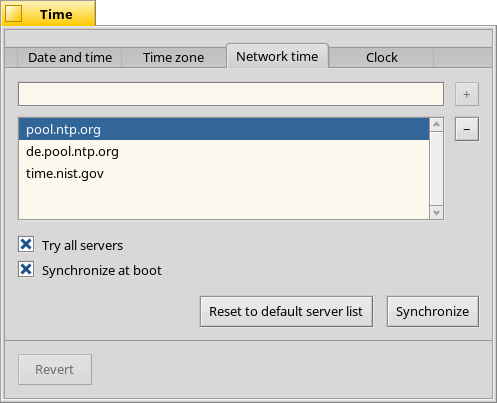 As example application, we have a look at the Time preferences. The coordinates of the BRect are in the screen coordinates (left/top/right/bottom). hey Tracker set Frame of Window 0 to "BRect(1329.0, 65.0, 1905.0, 968.0)"
Don’t be fooled, the “error” output of “0” is really a sign of success. You can avoid all junk output and limit it to the important essentials by adding the -o parameter. Makes for much easier scripting, too. If you have a smaller resolution, you may want to adjust the screen coordinates accordingly. As you can see, by forcing these absolute coordinates, the window layout isn’t in any way restricted and can result in widgets being placed widely spaced in that new window frame. Usage: The view's frame rectangle. Usage: Whether or not the view is hidden. Usage: Directs the scripting message to the shelf. Usage: Returns the number of child views. Usage: Directs the scripting message to the specified view. It also often helps to look into the app’s source code, of course. Find the place where the window layout is created and see if you can follow the view hierarchy. 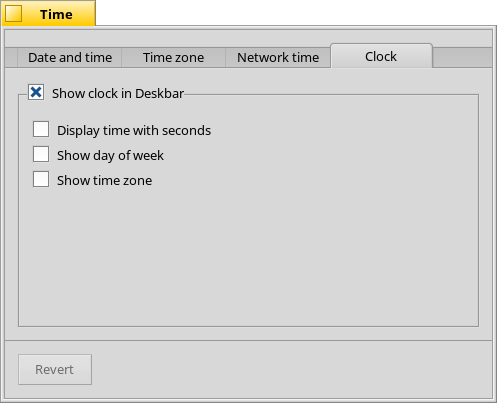 "result" (B_STRING_TYPE) : "show clock box"
"result" (B_STRING_TYPE) : "Show clock in Deskbar"
But as you see, that only un-draws the checkmark - it doesn’t actually run the code as if the user clicked the checkbox! Sometimes that might be enough if you only want to take a screenshot of the window. But in this case, actually unselecting the checkbox should also disable the checkboxes below. 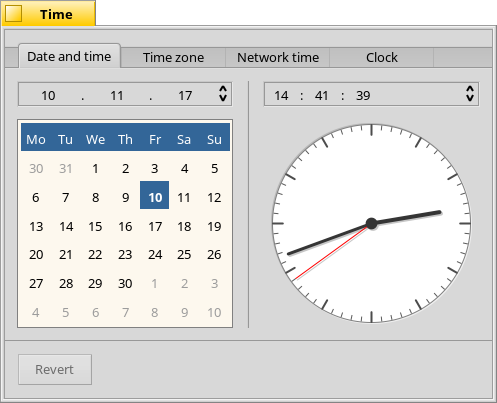 And of course hide the clock in the Deskbar. That’s generally how you deal with all BControls that should trigger some action, like clicking a button. hey -o Time set Value of View 0 of View 2 of View 0 of View 0 of View 0 of Window 0 to "Example text"
hey -o Time set Value of View 0 of View "Network time" of Window 0 to "Example text"